Earlier this week, CarBuzz brought you a limousine based on a Fiat 500 and built by Italian coachbuilders Castagna. Today we have a super-stretched limo all the way from China. The huge Hummer H2 limousine was just seen in China. 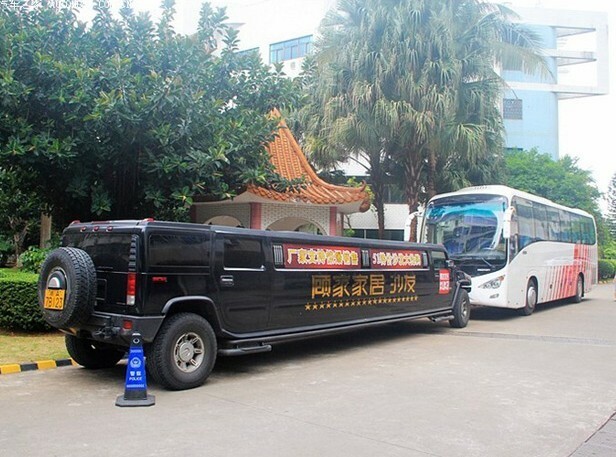 Located on the island of Hainan, the Hummer H2 limo is over 30ft. long and belongs, supposedly, to a hotel in Sanya. The stickers on the sides are a bit overboard, along with the stickers on the windows.